This course has been developed to help participants gain essential Typing Skills and IT Office Skills. Its is a beginner level course aims at those who are new to working in an office. The training system has been developed over several years and is compelling to follow. You can attend this course at the Centre in London where you have access to live tutors or we can arrange online training at home based PC interfaces, (Broadband link and suitable PC needed for remote study). Once training is complete we give you online access to our reference system for one complete year after your course start date. This Office Skills for Beginners course is suitable for anyone who is looking for their first job, working in an office environment. The training is extremely thorough and should generate rapid improvement in productivity for everyone. We use MOS standard. (Microsoft Office Specialist). The training can stand alone or is ideal for integration with Secretarial Courses or Legal Secretarial Training packages. 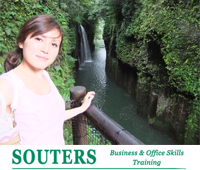 On completion of this Office Skills for Beginners course, you will gain Certification. This will increase your confidence and employability. 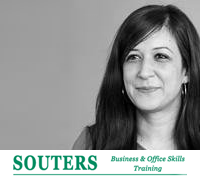 The cost of this Office Skills for Beginners course is £279 per person. 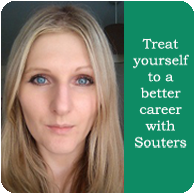 Learn the full benefits of participating in an office management training course with Souters. 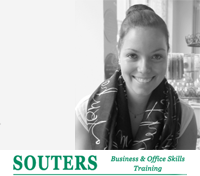 Fill out your details to find out more about Office Skills for Beginners.